A few weeks backed when I tackled our Freelance Marketing 101 post, one of the most common questions I received was about content—specifically, what sort of content to create. I had mentioned that freelancers often make the mistake of creating content for other freelancers instead of their true audience; the people who want to pay for their time! Since it can be somewhat confusing to tell the difference between the two (the content often overlaps), I thought I’d make things a bit easier by listing some of my favorite templates for creating killer content that attracts clients. I’ll include relevant examples to help you along the way… now let’s cut the malarkey and get in to it! 1.) Interview with an influencer: Back in my early days, one post that landed me a bunch of great clients looking for content marketing work was my interview with Brian Gardner of StudioPress. In the interview we discussed what role content marketing played in helping Brian sell the Genesis Framework and a ton of WordPress themes. Everybody knows the whole interviewing game—you interview someone with an audience in hopes that they’ll send people your way. The thing is, most people mess up by firing off random interviews that add nothing of value and that don’t relate to the ideal audience they’d like to have. This interview with Brian works because it’s focused on a service I provide (content strategy) and it showcased how well content worked for him in growing his business; it produced all the validation I needed to convince several clients to sign up. 2.) A beginner’s round-up: Although ’round-ups’ can be akin to our freelance tools roundup here on Bidsketch, what I really mean is creating an amazing starting point for beginner’s on a singular topic. When you think about it, targeting beginners (the right way) is great because you’re getting people who will likely need help, and that is where your paid services can come in. 3.) Detailed case studies: Everyone loves to read about a success story, and people just can’t resist the inside scoop—from a blog standpoint, this makes case studies amazing pieces of content, since they combine both. They also offer an ability to write about something that is highly related to your skills and that can’t be duplicated by competitors. It’s like combining an incredibly convincing client testimonial and a highly useful article! You’ll see people who charge premium prices for their products (like Ramit Sethi) doing tons of case studies, but you should try to focus on a few here and there that really show prospective customers how you’ll be able to “WOW” them with your services. If you’re totally new to freelancing, you can do a few free projects to build you base, but remember to cut that out as soon as possible. 4.) A ‘Making Of…’ post: A bit different from a case study with a particular client, these posts will break down how you created an individual project, regardless of who was paying you. That means that you can include solo projects, individual pieces of a project (‘How I made this plugin’, ‘How I wrote this e-Book’) and other specific instances that may not apply to client work. I like Rafal Tomal’s example in the Making Of Typspiration, a typography project he completed in his spare time. Sure, these sorts of posts will also attract other freelancers, but they serve as a detailed look at your skill and ability to see a project from start to finish. There’s a lot of unspoken persuasion in these types of posts, where clients will see how smoothly you tackled the behind the scenes efforts and how much time and effort you pour into the work you produce. 5.) The “Keyword How-to” post: You’ve likely recognized that “How-to” posts are effective, but if you want to maximize returns on your efforts, you should be targeting a keyword that can bring in potential clients. Back when I did a post called How to Speed Up WordPress in 15 Easy Steps, I made sure to include the phrase ‘speed up WordPress’ instead of something like ‘make WordPress faster,’ because the former was a far better search term than the latter. It now ranks #1 for that term and even appears for a few others… all because I took the 5 minutes of extra effort to find a decent keyword! It’s not rocket science either—head over to the free Google Keyword Tool after you’ve completed a post and search for a vague term that matches your topic, I think I chose something like ‘WordPress speed’ when I initially wrote that post. 6.) This vs. That: I’ve discussed before how research from Wharton Business School has shown that when it comes to creating controversial content, the way to go is to avoid highly controversial issues (politics, religion, tragedies) and instead focus on heated debates within your own industry. A perfect way to do this is to simply put Something vs. Something Else into a heated match on your own blog. 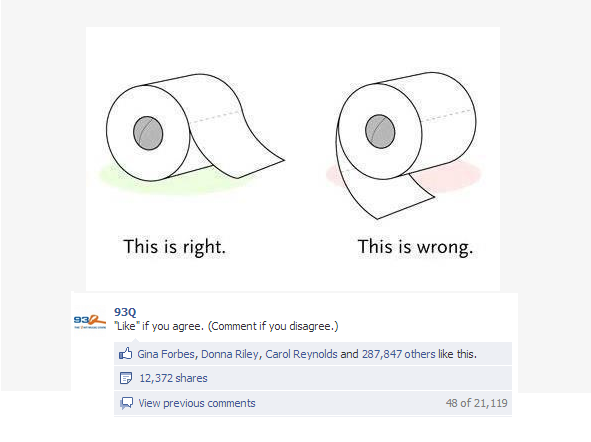 You’ll notice that toilet paper orientation, despite being a seemingly trivial topic, actually stirs up a ton of debate. What topics within your industry can you address that will stir up some buzz? The point here is that this controversy will result in people falling over themselves to leave feedback, and the conversation (when this strategy is executed correctly) can echo far and wide out into the web, getting you featured on relevant sites that will bring in more clients. It addressed a topic that had arisen only recently, that was on everyone’s mind, but that nobody had addressed so eloquently… at least until it was published. As with the ‘This vs. That’ style above, these sorts of posts work for freelancers because they show you think deeply about your work. They separate you as a thought leader who isn’t afraid to tackle topics that a lot of people think about, but that few are addressing. 8.) A large FAQ: While FAQs are often looked at as support content only, they can also make for great blog posts if you do them correctly. I’m going to cite this example from freelance writer Carol Tice as an excellent one to imitate: she rounded up the most common questions she received from her readers (in this case, they are freelance writers) and addressed them all in one epic article. I happen to read just about every exposé on color theory and ‘flat’ design out there, because I’m interested in those topics. Your potential clients will be on the lookout for answers like these too, and if you can give it to them, your services for more extensive work will start looking pretty enticing. 9.) A HUB page: This is the perfect solution for getting your best content front and center after you’ve published a few blog posts. 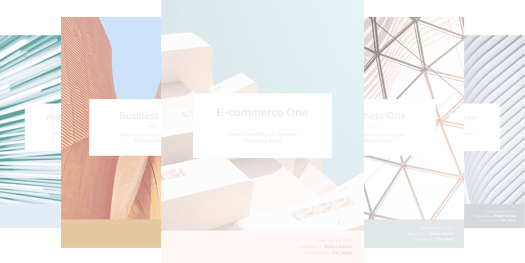 These pages include a general overview of a topic you know a lot about (let’s say designing for eCommerce stores) and a listing of your best articles on the subject. You don’t need the fancy design, just create an overview of your topic and use your previous articles as the ‘meat’ of the page which gives people plenty of things to read. This also allows you to highlight your best content and it gives people a singular place to start; perfect for showcasing skill and providing value to potential clients. 10.) The (Famous Person/Brand) Guide to ____: In nearly every industry I’ve ever worked in, these posts always seem to do well! The connection with the famous person (or brand) attracts attention and can pull in people who have an ‘affinity’ for that subject, but who may not have heard of you yet. A fantastic example here is Jon Morrow’s post on Stephen King’s Guide to Being a Frighteningly Good Writer, the inclusion of Stephen King catches your eye wherever you first encountered it (possibly a crowded Twitter stream), but it’s Jon who delivers on the advice. 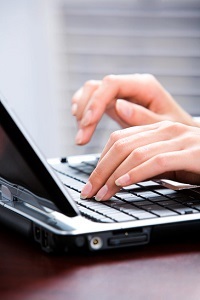 Try incorporating a known name into your post so interested readers will give your little site a chance. What did you think about these blog post templates for drawing in clients? Here’s a another question: If you run a blog to attract freelance clients, which posts have performed the best? Why do you think that’s the case? Thanks for reading, I’ll see you down in the comments!